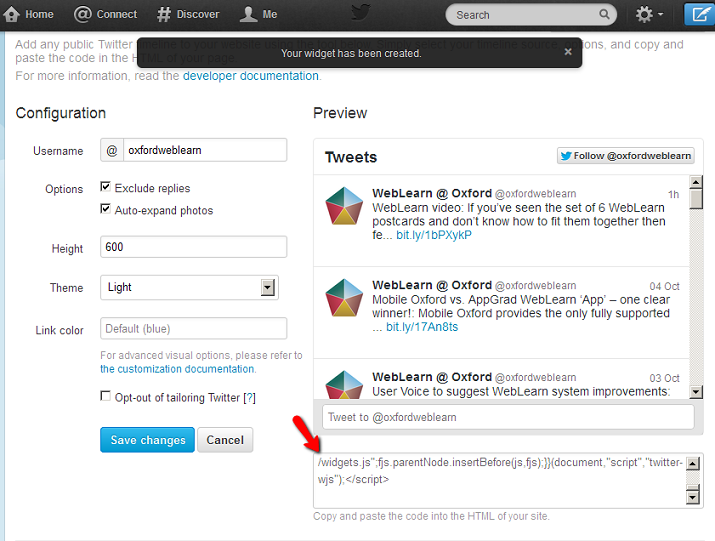 If you used Twitter’s feed to display public tweets in WebLearn, you may notice that it has stopped working. 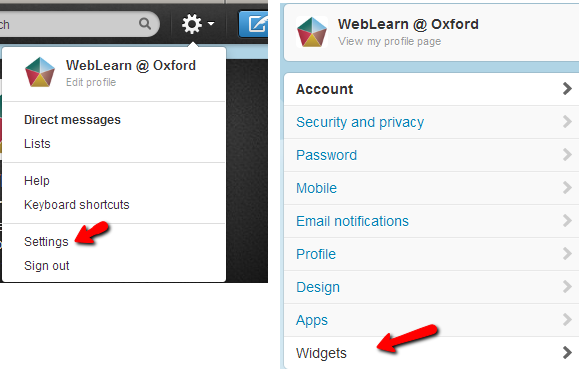 This is not caused by WebLearn but by a change in Twitter which no longer supports RSS feeds. 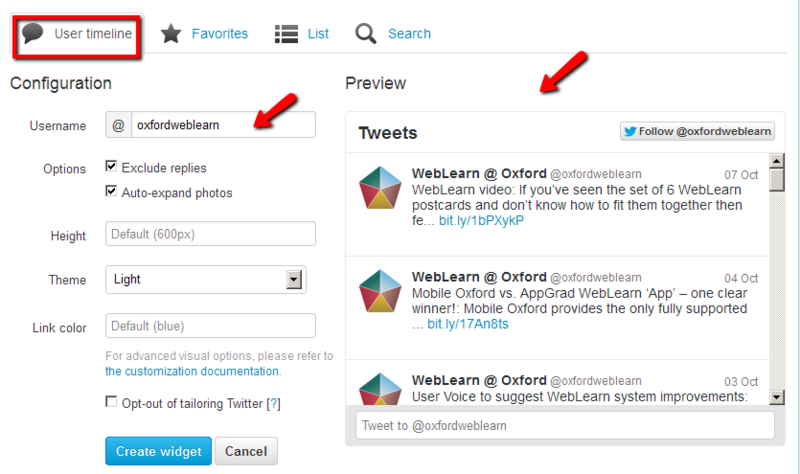 This blog post demonstrates how you can display public tweets from any user by using the Twitter Timeline. 4. By default, the User timeline widget is created for you. You can see the look and feel of the tweets under Preview. 4.2 If you want to display tweets from a different Twitter account, simply change the username under Configuration and click on Save Changes.